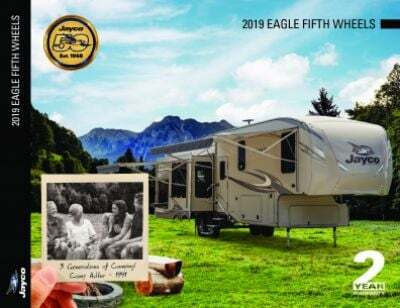 Make memories every season of the year with the reliable and adventurous 2020 Jayco Eagle HT 272RBOK! This Travel Trailer is beautiful inside and out! You can find this RV and other quality models now at All Seasons RV, one of the top Michigan RV dealerships! Live near or planning a trip to Muskegon? Stop by our site at 4701 Airline Rd Muskegon Michigan 49444 and bring this stunning RV home! 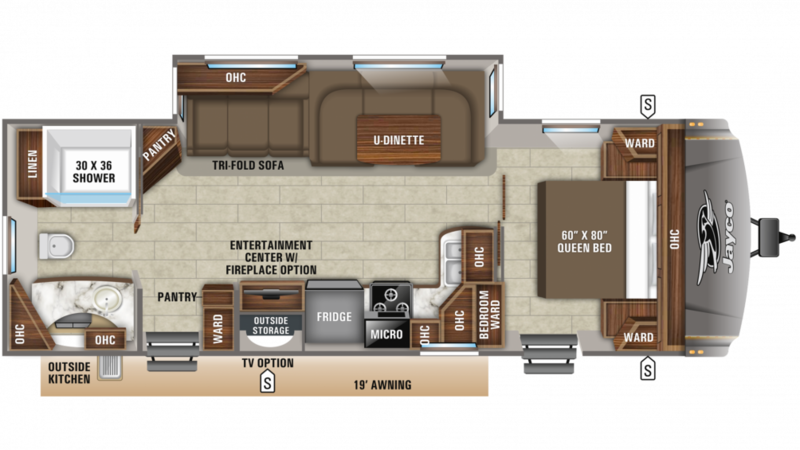 To learn more about how you can save big on this RV, call our Jayco Eagle HT expert at 231-739-5269! Go miles out of your comfort zone and travel far with this RV, which has a hitch weight of 825 lbs. and a GVWR of 9995 lbs! You can set up some camping chairs and lounge under the cool shade of the 19' 0" awning for hours of outdoor relaxation! Days of outdoor fun can leave you pleasantly tired at night. That's when you'll appreciate the superb master bedroom! It's roomy and comfortable with its spacious Queen bed where you'll cozy in, close your eyes, and be asleep in no time! Up to 6 people can sleep comfortably on the furniture inside this RV! The communal bathroom can be gross, damp, and sticky, so avoid it altogether with this RV! It has its own private bathroom, complete with a Porcelain Foot Flush toilet and a roomy shower! There are 60 lbs. of LP tank capacity so you can enjoy hot, steamy showers! There are both a 65 gallon gray water tank and a 32 gallon black water tank for added convenience! What's summer without a picnic, cookout, or campfire snacks! The outdoor kitchen makes it easy to whip up a meal out in the fresh air at any time!